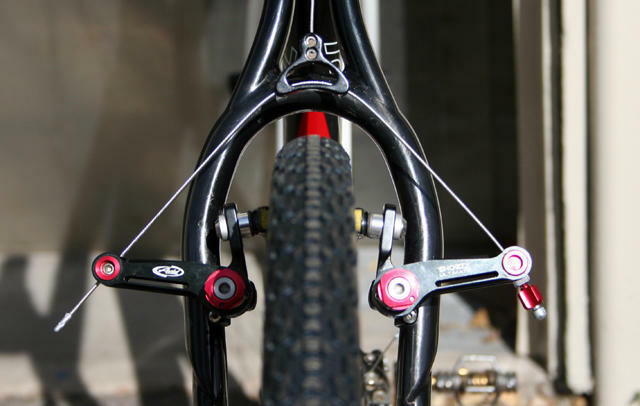 Recently I bought some Avid Shorty Ultimate cantilever brakes off eBay for cheap. My Felt F1X gravel/CX bike already had Avid Shorty 6 canti's fitted, but I think the Shorty Ultimates look super nice, and I noticed at the Cyclocross World Championships a few months ago there are still plenty of pros using them. With so many people upgrading to discs, I picked up a used set in great condition for under a hundred bucks, can't really go wrong. Removing the Shorty 6's was easy enough, you just disconnect the straddle wire and unscrew the pivot bolts with an allen wrench. 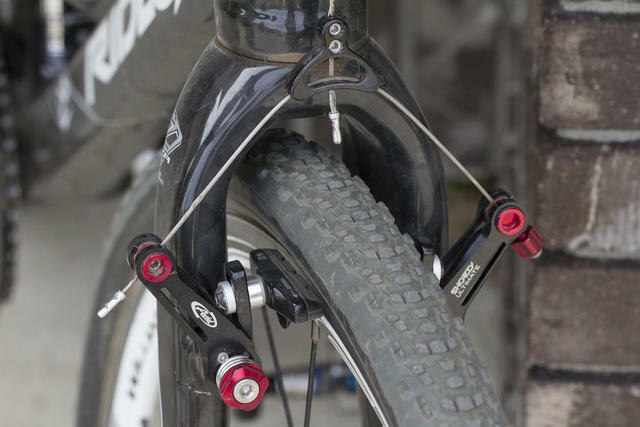 The Shorty Ultimate can be set up in either wide stance or narrow stance at the front or the rear. The wide stance is supposed to be better for mud clearance, while the narrow stance gives more braking force. I rarely ride the bike in extremely muddy conditions so I decided to set them up narrow/narrow for max braking. I followed the installation guide PDF on the SRAM/Avid website to the letter, I don't mess around when it comes with brakes. The only modification I made was to the spring tension; the instruction recommend turning the red spring cap to the 3 o'clock and 9 o'clock position to tension the spring. 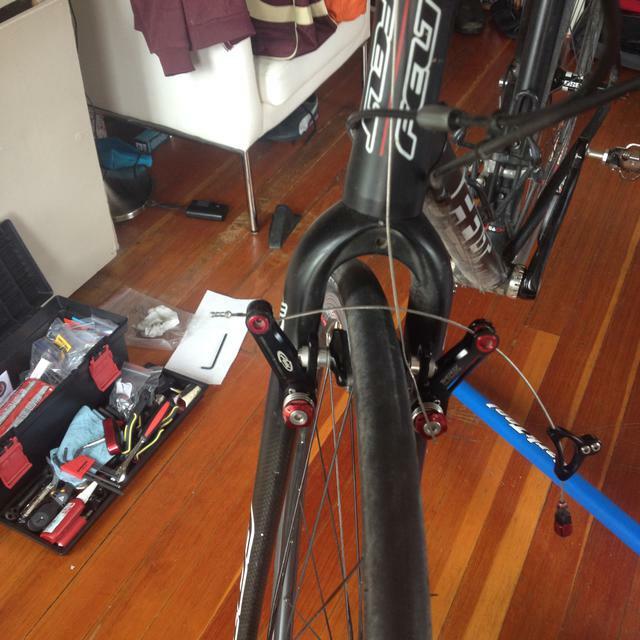 I found this was too stiff; I like to be able to brake reasonably well from on top of the hoods, so I reduced the spring tension by backing off all 4 of the spring caps to be pointing to the 6 o'clock position (down) which felt much better with my Ultegra brake levers. They came with a half used set of SwissStop Flash Pro black road brake pads, which are working very well. The braking is slightly better than the Shorty 6, but not significantly. However, there is a pretty good weight savings; I measured the pair of Shorty 6 brakes at 344g while the Shorty Ultimate brakeset was a feathery 256g. And they look great, so I consider it a win. If you have any questions, just post a reply below.